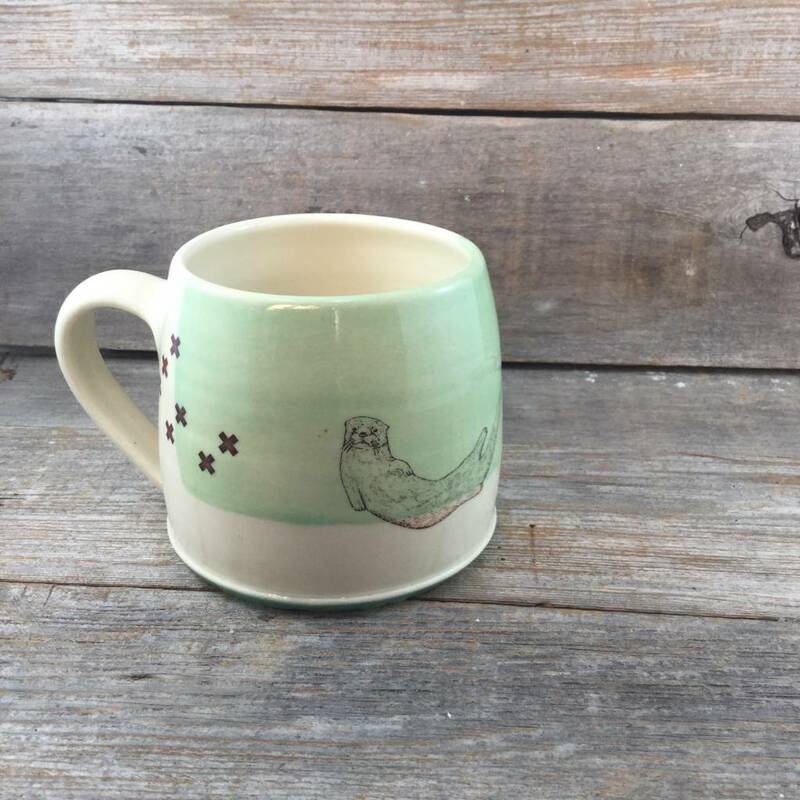 Sea otter with plus pattern on green glazed mug with green swirl base. 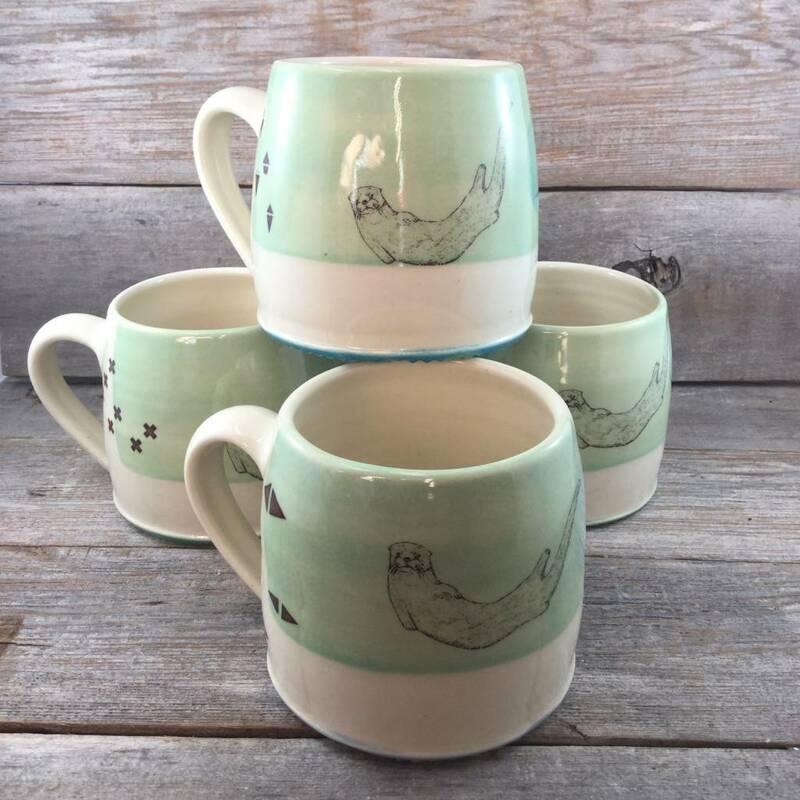 This playful sea otter mug has a plus pattern and is glazed in light green with a rich green swirl on the base. Perfect for you morning coffee, afternoon tea or some hearty soup. Part of the Aube collection, these gorgeous mugs are wheel thrown, hand painted and decaled by the wonderful Paige Coull, of Blackbird Studios, in her beautiful studio on Gabriola Island, BC. All of her pieces are microwave and dishwasher safe.